February is friendship month and kids can be friends with monsters, the dark, and other fears. It’s easier to deal with now than later and we can use play. Being scared is a typical challenge for young children. Some fears, like loud noises, develop from the extra stimulation on children’s senses. 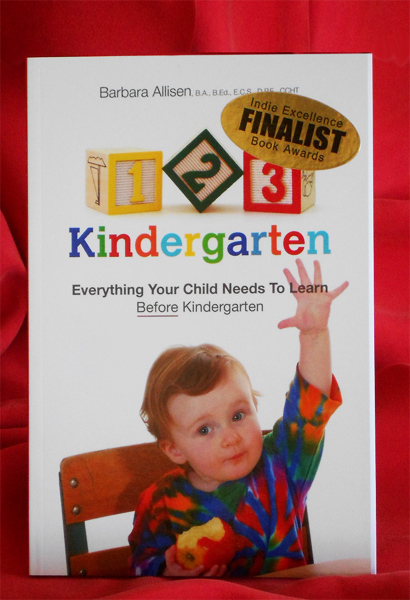 Plus, there are so many unknowns and kids don’t have the experience to know what’s logical and what’s not. Water goes down the drain, so why can’t they? Getting a haircut doesn’t hurt like getting a finger cut. In this case, the words add to the confusion. 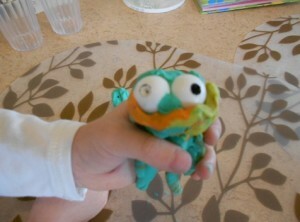 Using stories, puppets, games, paper and crayons, play dough and a few household items, we can help kids cope with fears. When the lights are off, objects look like strange creatures or monsters. One clever strategy is to fill a spray bottle with colored water and label this as Monster Spray. Whenever kids think there are monsters, they can give a squirt or two and the monsters go away. There are dozens and dozens of stories about monsters under the bed. 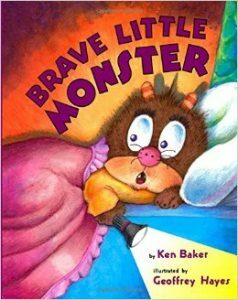 In one story, “Brave Little Monster” by Ken Baker, a baby monster is afraid of the boy under the bed. Of course, the monster parents try and tell him there’s no such thing as boys and girls. Laughter helps anyone deal with fears. Games do too. Sometimes a game of pretending to be monsters that chase each other gives kids the opportunity to turn monsters into play. Drawing a scary monster, building one with blocks, or making one with play dough seems to reduce them from the giant ones in imagination to only a handful. 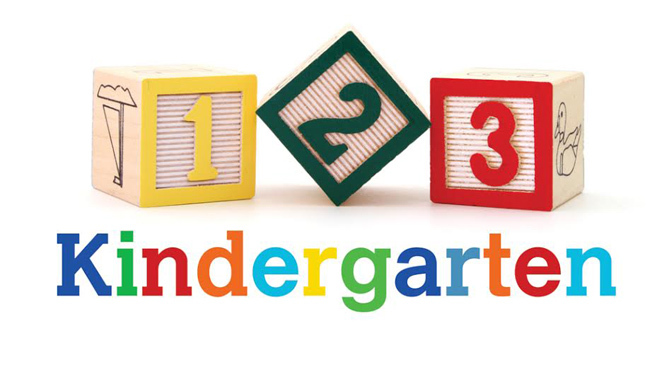 These activities work for real creatures too, like spiders or bugs or worms. With crayons or paints, kids can color what they are afraid of. Drawing spiders and creating some out of craft materials takes them from 3-d to 2-d and they don’t seem so scary. Like with monsters, books are a great resource. If you can’t find the specific one you need, you can make up your own story to tell your child. 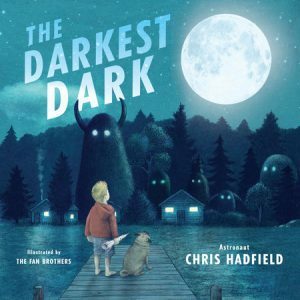 For the dark, astronaut Chris Hadfield wrote about his own experience as a child in the book, The Darkest Dark. From being too afraid to sleep in his own bed, he instead becomes fascinated by stars and outer space. As kids hear the words about “the power and the mystery and the velvety black” they too begin to change their fear into curiosity. Fears to children are very real. Acknowledging their feelings is important. Using the tools and resources of childhood, kids can be friends with monsters, the dark, and other fears. How do you help your child cope? What to do on the shortest day of the year? Night starts in the afternoon so there’s plenty of time for this activity: longest night stargazing for kids. It’s something to anticipate all day long, but no worries because the day part seems so short. When it’s dark enough, dress for the weather and go outside to check out the stars. The clear, cold nights seem to make them shine brighter. So often, something we do as a child can make a life-long impression and memory. Pat McCarthy, the director of the Giant Magellan Telescope says, “I remember as a kid with my small telescope – going out in December and looking at all the beautiful things in the winter sky….It’s a lot of fun and I hope other people do it as well. It’s a nice thing to do over the holidays.” (How To Stargaze on the Winter Solstice) While very few kids will have telescopes, it’s still exciting to see all the stars twinkling in the sky. Back inside, a cup of hot chocolate warms up cold fingers and toes. There could be plenty time before bed to read a story about stars too. Astronaut Chris Hadfield tells about being a young child with a fear of the dark in his new book, The Darkest Dark. 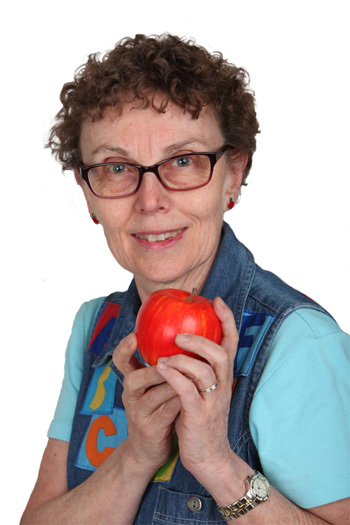 Although the story in the book happens in the summertime, being afraid to sleep or stay in their own beds happens for many children at any time in the year. In the book, Chris is impressed by the darkness of space and calls it the darkest dark. That night, instead of seeing scary things in the dark, he sees “the power and the mystery and the velvety black beauty of the dark” and wants to explore the night sky. Spending part of the longest night stargazing for kids may help your child enjoy the dark instead of being afraid. Kids can also sing Twinkle, Twinkle Little Star. 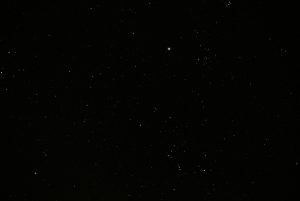 Don’t we all wonder about the stars? Helping kids with feelings and fears can be quite a challenge. Some resources can be their own toys, including dragons, and their activities as we guide them to understand feelings and cope with fears. There are both friendly and fierce-looking dragons. Dragons are big, scary creatures. While they don’t exist in real life, in a way they exist in the mind. Children have powerful imaginations and what they imagine can generate deep feelings. 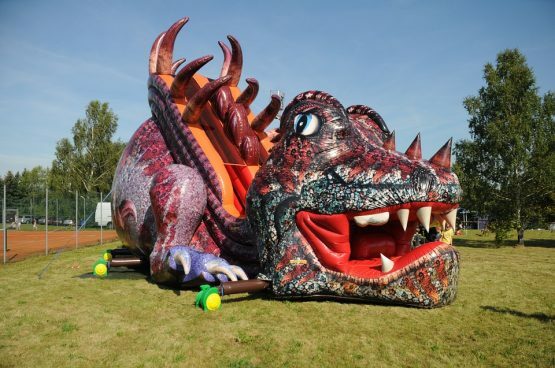 Despite have big teeth and being able to breathe fire, knights often fight with dragons. Knights are brave. When kids are playing with dragons we can ask them if they are afraid of dragons or if they are brave. What does brave feel like? We can ask kids to show us what scared and brave would look like. As we watch kids, we should be able to see a difference. Usually, they strike poses and are pretty dramatic. This gives us an idea if kids are able to match words to appropriate feelings. There are so many feelings and words to figure out that it’s easy to get them confused. Sometimes, there are situations when we need to ask children if they can be brave, such as letting a doctor look at and touch an injury. It’s helpful if we can give them an example, like asking them to be brave like a knight that has to stand up to a scary dragon. Let them know it’s okay to still feel scared. Being brave is a way to handle those feelings. Not only do kids need to learn about their own feelings, but about other people’s too. One way to do that is to look at faces. Faces can tell us about other people. Make some silly faces together. Have you ever asked your child to show you a mad face or a happy face? Those are pretty easy. Check for a sad, worried, surprised, and scared face too. A huge part of communication happens without any words. No wonder we need lots of resources for helping kids with feelings and fears. What kind of dragon or people faces can you make?